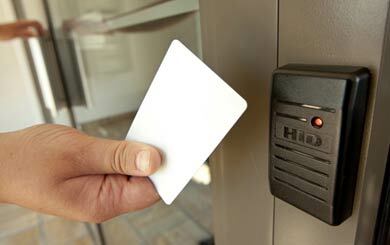 Secure and manage your facility with an access control solution designed by Custom Install Solutions. Access control is the answer to adding security and control to your business. Protect your employees from unwanted visitors and manage who is entering your business or residence at what time. There is no need to worry about duplicate keys ending up in the wrong hands. Control access to certain rooms, offices or halls within your building. Dictate the time people are allowed in the office, stock room or computer server room. Set permanent restrictions or have timed schedules for access. Maintain reports of which employee entered which area and when. 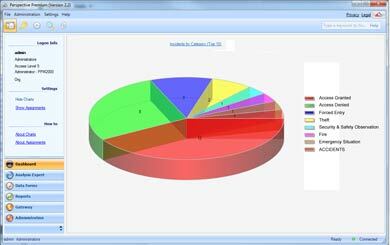 A variety of reports are available that are both easy to generate and easy to read. If an employee terminates his/her employment or a resident no longer lives on property, simply delete his/her key out of the system, thereby immediately denying any access to the building. There is no need to worry about duplicate keys in the wrong hands. Custom Install Solutions uses many different platforms such as proximity cards, codes or fobs, which have taken the place of traditional swipe cards. RFID technology energizes a small transmitter in the card when brought close to the reader and transmits a code to the controller, which analyzes whether authority should be granted for entry. Individual cards can be restricted to times or doors because each coded card is unique to that user. Should a card or person be “locked out” a PC based system makes it simple to control each card by the click of a mouse. No need to call a locksmith to change all the locks…a large savings for some locations and a saving in time also. All events are stored for easy retrieval by the user in the form of reports, which can be filtered to obtain specific information in the event of vandalism or theft. These reports even report the attempted use of “locked out” cards. The ultimate in commercial security is a combination of all of the aspects of security into one system, Intruder and Fire/Smoke Alarm, Video Surveillance and Access Control in one package. 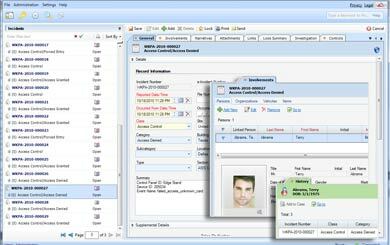 Integration of Video with Alarm and Access Control can be used to record people coming and going.